"It was the greatest time of my life. Living the dream of dreams," Steve Perry says, "But you don't have to look too far to see people not surviving fame and fortune." Reunions are emotional. And it's often not about the wealth that old classmate has earned or what that long-lost relative says or how that ex-spouse looks. It's about what reuniting with a part of your past makes you see in yourself — how in their reflections, you notice the passage of time in your own life. Of course, for those of us who frequent arenas, weddings or karaoke bars, it's like no time has passed at all since we last heard from former Journey lead singer Steve Perry. "Don't Stop Believin'" is part of the contemporary soundscape of popular culture. But it's different for Perry. He released his last solo album in 1994, then reunited with Journey a couple years later for an album but no tour, and has otherwise been pretty much out of the public eye since then. Perry's latest solo album, Traces, out Oct. 5, marks his reunion with his own voice. And yes, it's emotional. 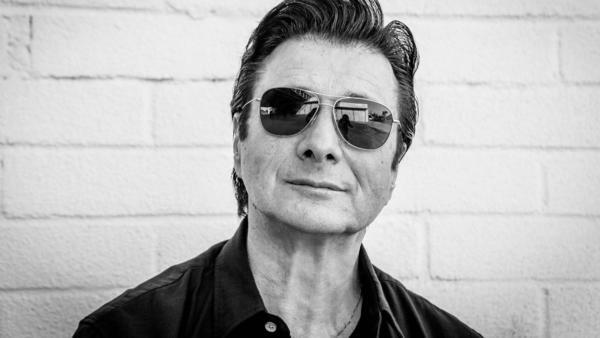 Perry told me why he left Journey in 1987 at the height of the band's fame and the difficult personal period that followed shortly after during which he couldn't listen to music. He shared insights about the pressure of being dubbed "The Voice" and balancing the rock and roll life with carrying your money-making instrument along inside your own throat. And Perry told me about his life-changing relationship with a woman named Kellie Nash who Perry says made him feel loved for the first time, and how making new music marks the fulfillment of a promise he made to Nash before she died in 2012 of cancer. Read highlights of our conversation below and listen to the session at the audio link. It wasn't that easy to listen to that voice that said, "You need to just simply stop." It was the greatest time of my life. Living the dream of dreams. But you don't have to look too far to see people not surviving fame and fortune — not just in the music business, it seems to be in a lot of places. And there was a little voice in me that said, "I don't know what the answer is but I probably should stop and figure it out." It was like this orbit that you were in and you got to come through the Earth's atmosphere and you got to burn up on the way. And there was no other way except to burn up a little bit on the way in. And when I did finally touch down I had to do a lot of work on myself. If you want to know the truth I had to work hard on just me being enough. And that's been the hardest thing. I think that what hit me in the beginning was just how do I just be enough. I couldn't listen to music. That's what scared me, Talia. I could not listen. And I couldn't figure out why it made me so uncomfortable. That was one of the reasons, also, that stimulated me to just stop, and it was because I had some sort of uncomfortable PTSD thing going on with music. Not just mine, but everybody's. I think I was just massively fatigued emotionally and physically. And it was tough and literally the only music I could listen to in the very very beginning when I first stopped was ambient music. It became my soothing type of music. About three, four months before I lost her, my favorite time we used to spend together was when we would who would talk each other asleep, you know? One night she says "Honey, I need to ask you a favor. I said "What's that?" Would you make me a promise? I said "What's that?" "Well if something was to ever happen to me, make me just one promise that you would not go back into isolation for I just got a feeling it would make this all for naught." And I'm telling you, those words "make this all for naught" was the biggest arc of a perspective of someone looking at her entire life, and trying to find purpose should she not make it. There's got to be a purpose. So, I made the promise that I would keep that promise. And so, the music that finally got written and recorded — about four, five years ago I started writing it – and about three years ago or so we started recording it — is keeping that promise. She gave me so much. ... How would a guy like me really know if someone loves them? How would I really know? When you're sitting in front of a beautiful woman who's got better things to do than waste her time and looks at you and says she loves you, you have to feel that because it's pretty evident that she has better things to do than to waste her and my time. I have to feel it. I have to believe it. I must say that was the first time ever that I felt loved. On the legacy of "Don't Stop Believin"
It's probably one of the biggest mixed emotional bags you could ever ask me because it hearkens to so much about my life. And then to have people come up to me and say that this song means so much to them. And then years later to be with Kellie and go to chemo and meet people who didn't want to go do chemo that day but heard the song on the radio and said I'm going to do it anyway. I just get goosebumps on my arm because I so feel grateful for that. I think that song was a moment in time that neither of us, any band member really knew. Nobody had a clue that it would do what it's done... I'm just amazed because we had a lot of great songs but that one I guess really touched a lot of people's hearts and that's just an amazing thing.